Fallujah. Haditha. Tikrit. And so many other communities across Iraq. They’ve all been wrenched back from ISIS. And now it’s time for the crown jewel: Mosul. The operation to recapture Mosul, the largest city controlled by ISIS and their capital in Iraq, is about to begin. Today, we visited a ancient Christian town on the northern front line, just a short drive from ISIS’s Iraqi capital of Mosul. 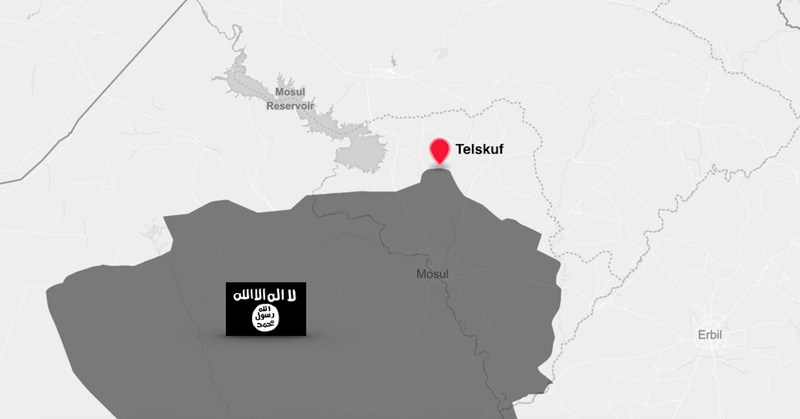 This little town, called Telskuf, was liberated from ISIS just a few months prior. Bullet casings and potholes from mortar shells dot the city. At one point on our visit, heads jerk toward a distant BOOM. An airstrike nearby. Around the lunch table, local Assyrian Christians were almost giddy at the news that Iraqi forces had arrived en masse. “Liberation must be coming,” one young man said with excitement. They survey their homeland from hills and destroyed rooftops. But someday soon, they’ll actually go home. Millions across the country are still waiting to go home. You have stood in the gap for them. You’ve empowered displaced women to bake, sew, and make soap so they can live well while they wait. You air-dropped aid into Haditha, a starved-out town besieged on all sides by ISIS. You helped them to hold on and keep resisting. You’ve delivered emergency aid to people suffering in the desert, just outside Fallujah—to people most of the world would rather forget. You loved anyway. Every time we ask you to come alongside these beautiful, hope-filled, incredible people, you do it. You pray relentlessly. You send messages of hope. You donate over and over again—many of you do so every month. Today, we are asking you go go with us again. Help us prepare for what may be the biggest military offensive in recent memory. Millions of people are holding their breath. Will they survive this? Will their sisters and daughters be rescued from enslavement? What will come of Iraq after ISIS? Help make sure they do. Send food, water, and medicine to families on the run from ISIS. $65 feeds a family for a month.